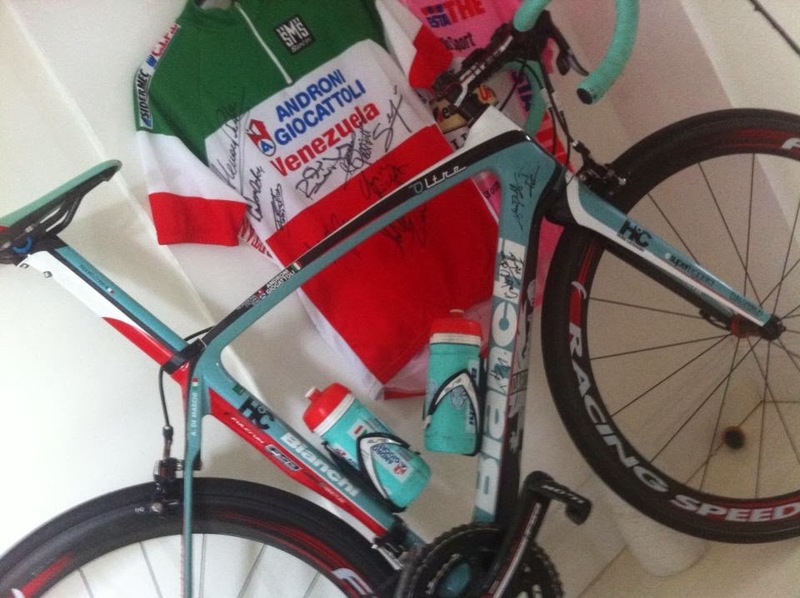 But if you can´t get the race jersey from a rider there is other stuff, that atleast me, that have a high value. 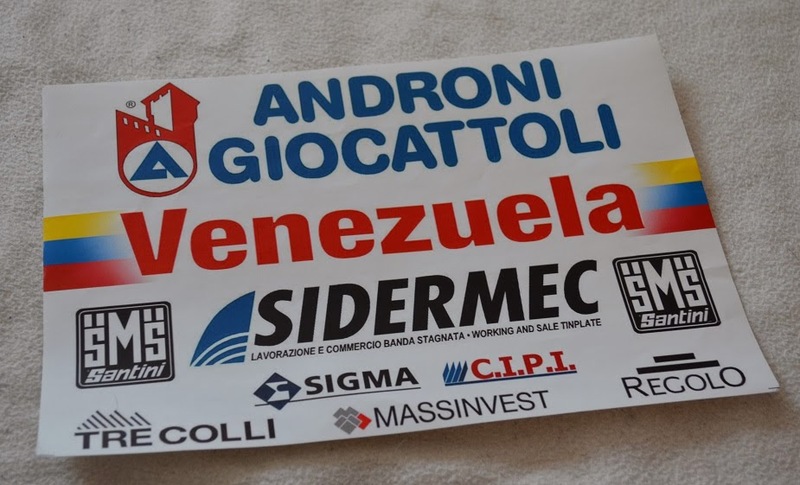 In 2012 when I meet the Team Androni Giocattoli-Venezuela at the Giro d´Italia in Denmark, Team Manager Gianni Savio gave me two kind of stickers from the Team. 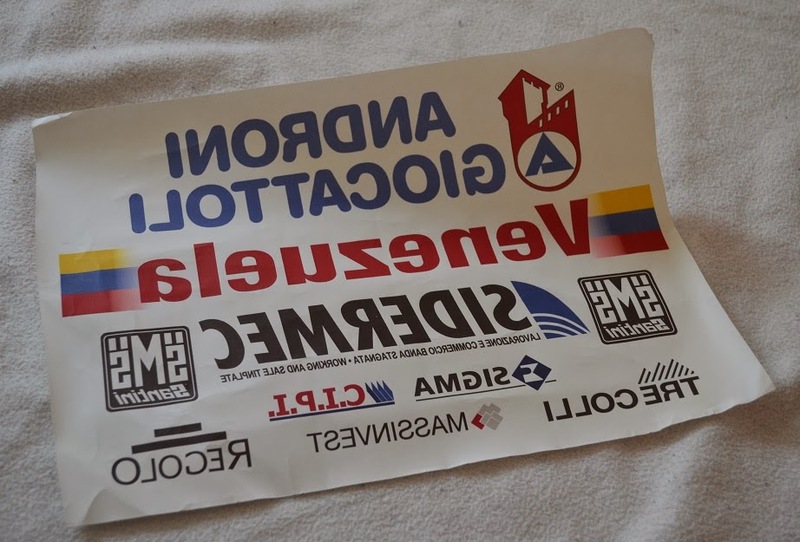 The first one is an ordinary sticker that you put onto a Jersey when you achieve the leader jersey of a race, you put the sticker on too the Jersey before you go to the podium and get the jersey. The other sticker is a one that you can use a iron to put on the Jersey so you can wear it on next days stage. Bigger races have their own printmachine so they make the leader jersey for each team. But smaller Races have to use this one. I think it´s pretty rare to own such stickers, what do you think? Next items that I value high is the numbers from the riders which was attached to their bikes during a race, I had the opportunity to attend the Tour of Estonia 2013, and the mechanic of Androni kindly removed the numbers for me after the last stage, why I miss two numbers are that two riders of the Team made a DNF and when they leave the race, the numbers will be removed from the Jersey and the bike.